If you wish to contact us regarding any of our corporate hospitality packages on offer, or any of the information on this site, please contact Eventmasters Travel Ltd on 020 7989 6500; Alternatively, you can fill out our contact form. We have a team of dedicated specialists that will be ready at hand to deal with any questions or queries that you might have for us. We understand that for the majority of our customers, seeing Tottenham Hotspur live is a unique experience. Whether you’re taking your children, entertaining business clients or going for a celebration, we want your experience to be special. We will provide attentive customer service for advice for any queries you may have about our packages. You can even just ring us for a chat about Spurs if you so wish! 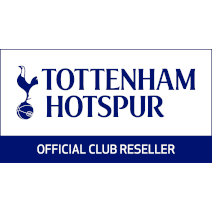 We are a Tottenham Hotpsur Official Club Reseller offering THFC Tickets, Travel and Hospitality packages for Tottenham Hotspur fixtures in the 2018/19 season. Eventmasters Travel has signed a 10-year partnership with the club and as such, strive to offer the best available service to all of our clients. We have a dedicated team of Tottenham Hotspur Hospitality Specialists who look to ensure all clients have the unrivalled and unique matchday experience expected at the Tottenham Hotspur Stadium. From the first click to the final whistle, we aim for full customer satisfaction.